WELL THIS IS THE FIRST MONDAY GIVE AWAY DAY. hope you like what my ten year old daughter has left here for you. she is so proud of her work so any comments for her would be very welcomed. she has worked very hard in school all last week and as a reward she got to create some designs and play on mom's computer. she is very happy about that. keep coming back i have some more suprize in store for you but you never know when they are comming up. and i have three more kit comming soon to buy. hope you enjoy, lots of love and blessing. Whaouh! They are very nice. We now have a little new designer among us... She will be a great competitor! Thank you for sharing with us. Welcome to your little daughter in the designer-world! She´s a very talented young lady. Give her a kiss from me - I will download it right now, it is wonderful :) Thank you very much! I love the lovely shapes and the pink colour. Well done. I forgot all about leaving a comment. Thanks a lot for those beautiful charms. Thank Your daughter for these awesome charms she did a fantastic job!!!! What a very clever daughter you have! It must be in the genes!!! 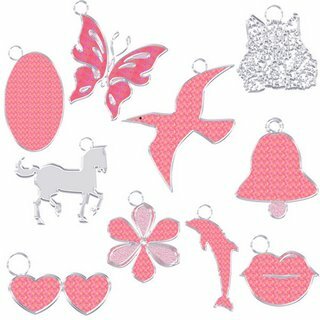 Please let her know that I loved these little charms, as did my own daughter who is 16. Thanks to you both for sharing. These are really nice:) Thank her very much for me:-) Fantastic! These are very nice! I wish I could do half as well!!! Thank you! wow! what a sweet little designer! Thank you so much! looking forward to your other designs. hugs! WOWZERS! Love these fab elements. I'm truly impressed at how talented your dd is already at only 10 yo. It never ceases to amaze me how saavy kiddos are in this digital age. I was still using magic markers at 10! LOL, better watch out! If she keeps this up, she may need her own PC soon...we all know how addicting digiscraping and creating can be! Sorry for the ramble, but I wanted to give her the praise she deserves. Big warm fuzzy hugs to your dd. Those are so sweet. Than you! Thanks for the cute charms - you have done a great job and I wish you all the best in the future when making more. Thanks again!! Oh how sweet! Thank you so much for sharing! Great Job! WOW!! Your daughter is a great designer. These charms are as nice as any I have found in professionally made kits. She deserves all the praise she gets. We all hope you let her play on your computer again soon!! Wow! These charms are beautiful! How talented your daughter is! Thank you so much for sharing! Wow! I am so impressed! These are fabulous. Thanks for sharing with us all. Your DD is doing great. Thanks so much. A great designer in the making. These are so cute, many thanks for sharing. Fabulous charms! Thank you very much for sharing with me.